There are layers to the relationship between social media and sports stars. And this is particularly true in professional football. At a time where exorbitant wages lead to accusations that players are completely out of touch with the real world, Twitter and other mediums offer a level of interaction that allows high-profile figures to quickly find out how people feel about them. From their perspective, they can get a message across without having to go through the media. Personal press releases can be typed out on the notes function on an iPhone; transfer and retirement announcements via Twitter are now the norm. And then there are footballers who have learned how to monetise their following by collecting handsome sums of money for endorsing products or destinations. Ireland's David Meyler has found a niche of his own by playing computer games in front of a large audience. Sad, but very much true. He has discovered a market that exists and is exploiting it accordingly with a view to the longer term. There are other high-profile figures who effectively outsource their social media accounts to their club's press department or their own PR handlers who send out safe and sanitised messages that do wonders for their brand. In other words, it has become an extension of the business and it's here to stay. That is not to excuse the abuse that Cyrus Christie has endured. This is the other side of open engagement with the real world. Twitter, in particular, is full of have-a-go heroes hiding behind pseudonyms. Experienced pros can block out thousands of fans roaring abuse in their direction from the stands but they are vulnerable to having a look to see what people are saying when they are alone in their thoughts, particularly in the aftermath of a grim defeat like Ireland's reverse to Denmark. It's easy to conclude that players should shut themselves off from it. Seamus Coleman stopped using his Twitter account some time ago, for example. Older-school 'football men' will argue that players shouldn't be getting involved in any of that nonsense. Then again, they were lucky enough to play the game in the era before the smartphone - where they could live some kind of a normal life without having their every move captured. Last week, Wayne Rooney had the temerity to order food from a restaurant and the associated pictures ended up across Twitter. So it's no real surprise that players are driven indoors and succumb to the temptation to find out what the general public think because that might be the only place where they really get to encounter them. Unfortunately, it has exposed them to the levels of idiocy that roam free in cyberspace. Within a minute of James McClean revealing on stage at last Saturday's PFA Ireland awards that an Irish team-mate had been left in tears by an abusive message stating that he should go and play for Jamaica, it was possible to use the search function to find a tweet directed at Christie. The person responsible appears to have deleted their account in the intervening period; it was unclear if the individual in question was even based in Ireland. His offensive tweet aimed at Christie was not exactly out of keeping with the rest of his account, a largely incoherent stream of bad banter with like-minded simpletons. There's a certain discomfort in giving these people oxygen by constructing a story based around their observations. But the simple fact is that by tagging Christie in a message, he found the direct line to a player and it succeeded in upsetting the target. The FAI deemed it serious enough to refer the matter to gardaí, but Christie's subsequent revelation that it was not isolated in the context of his Ireland career makes this a bigger story than just one eejit having a pop to impress his mates. We do not know if Ireland fans have been responsible for any of the insulting messages sent to the Middlesbrough player, although some of his team-mates appear to believe that has been the case. 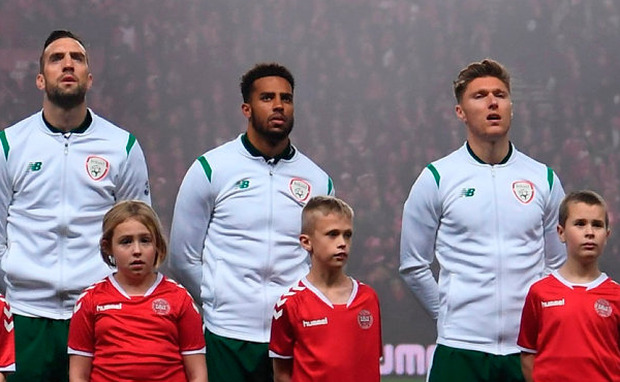 "To think that even a minority of Irish fans can be racist after the racial abuse that Irish people have had to put up with over the years is sickening to the core," wrote Paul McShane yesterday. The bottom line is that the freedom exists for users - wherever they may be located - to fire off any thought without having to worry too much about the consequences. McClean has received death threats for his views and is abused on a daily basis - his response has been to fight fire with fire which can go both ways. When the big name reacts, they are deemed to have lost the battle. Golfers Ian Poulter and Lee Westwood have gotten dragged into spats with punters revelling in their misfortune and nobody ended up looking too smart. 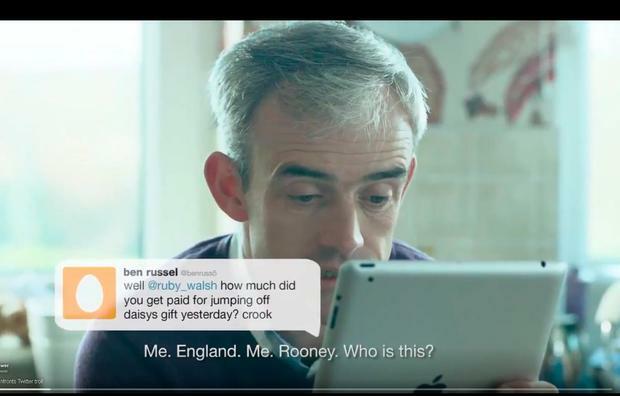 Jockeys are frequently accused of all sorts, with Ruby Walsh a popular target for the troll community. Every last flight or fence fall is greeted by emotive reactions from Twitter users who throw around completely unfounded allegations. When Walsh broke his leg in a fall on Saturday, the pocket talkers vented again and news of his injury did not silence every heckler. In that world, the pond life come to the surface several times per day. What can be done about it? This is the problematic area. There are examples - especially in the UK - of individuals who were charged by the law for abusive or racist tweets. But there is a difficulty in pursuing an individual whose messages are only read by a handful of his mates when it comes to defamation. The social media companies need to regulate their sites better, to the point where users might feel there will be repercussions for crossing the line, but that feels like an empty cry for they will argue that they cannot moderate their sites to the point where they can halt all abuse - to do so would mean a restriction on the freedom that makes these forums work in the first place. Ironically enough, the most effective method of support for Christie in the aftermath of his trauma has been social media with the #oneofourown hashtag prompting thousands of supportive messages to be sent in his direction from Irish fans. If anything, it just emphasises that in its own strange way, the internet world is just an extension of life. There are idiots who love to provoke a reaction. There are racists who drop the mask or lash out if a result goes the wrong way. But there is a silent majority that is appalled and the hope is that these flashpoints continue to raise awareness of what is unacceptable. Sport has come a long way in this regard; only a couple of decades have passed since it was common for English football crowds to make racist sounds and gestures without fear of condemnation. Christie's uncle Errol, a champion boxer, encountered it in the ring and on the street. Today's culprits have largely been driven behind a keyboard, but social media has provided the reminder that there's still a road to travel. Christie should be commended for not letting it slide and taking a stand.